Hello CubeCrafters and Easter Egg lovers! It's that time of year again, where we love to eat Easter Eggs and google pictures of cute bunnies. But Easter here at CubeCraft is not something to miss. We've added so much content for you to purchase, unlock and play. These includes an Easter lobby, Easter egg hunt, Easter Cubelets and Loot, an Easter Bundle, an Easter sale and even exclusive Easter challenges which are new to 2019! Read this entire thread to learn more about this Easter packed update! We couldn't have Easter without an Easter lobby! There's some many things to look at and explore in our 2019 Easter lobby. Eggs, chicks, bunnies, carrots and much more! This lobby also supports our lobby games, Relic Hunting, Lobby Fishing and Chest Chaser. Explore, have fun and enjoy our Easter lobby! What's Easter without an Easter Egg hunt! 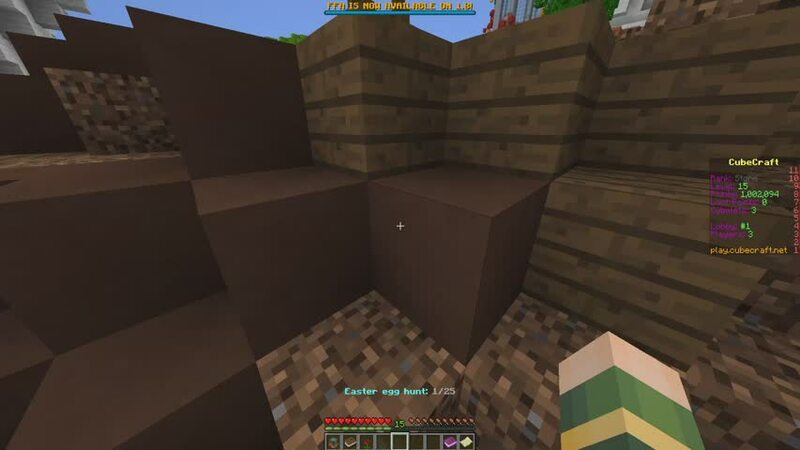 CubeCraft's famous Easter Egg hunt is back for 2019! We've hidden 25 Easter Eggs round our lobby, some are easy to find and some are hard, so good luck. Once you collect them all, you'll obtain a 2 free Easter Cubelet and bragging rights. Will you collect them all? Hello CubeCrafters and fellow bunnies! It's time for Easter to join our Bedrock Edition network. In this update we've added a lot of new content for you to try out and purchase. Such as an Easter Egg hunt, Easter lobby, Easter maps and even an Easter bundle! Read this thread to find out more about our Bedrock Easter update! We can't have an Easter update without an Easter lobby. Filled with eggs, bunnies, chicks and other Eastery things, you'll surely be in the Easter mood after exploring this new lobby. Along with our Easter lobby, we've also added an amazing Easter Egg hunt! Explore our lobby, discover and find all 15 Easter Eggs. Once you collect them all, you'll unlock and win an incredible Confetti Win Effect. As usual with our seasonal content, we have an exclusive and brand NEW bundle. Now available on our server store. It includes 3 cages, 2 cute buddies, 1 win effect, 3 trails and 4 Easter themed prefixes! But hurry, it's only available during the Easter period. With every seasonal update, there's always amazing maps to release and show off. We've added 5 brand NEW maps to our Bedrock network, to join the rest of the gang. There's 2 Solo SkyWars, 1 Solo EggWars and 2 Team EggWars maps! So what are you waiting for? Will you be able to play them all and win on every map? I play this map a lot... it's a real rabbit. 1.8 FFA + Space Bundle! This week we've been busy with 2 new pieces of content. 1.8 FFA and an awesome new loot bundle! Read this thread in full to learn more about this update. It's time for FFA to join the 1.8 network and community. Today, Free for All (FFA), is now available on our 1.8 Java network! 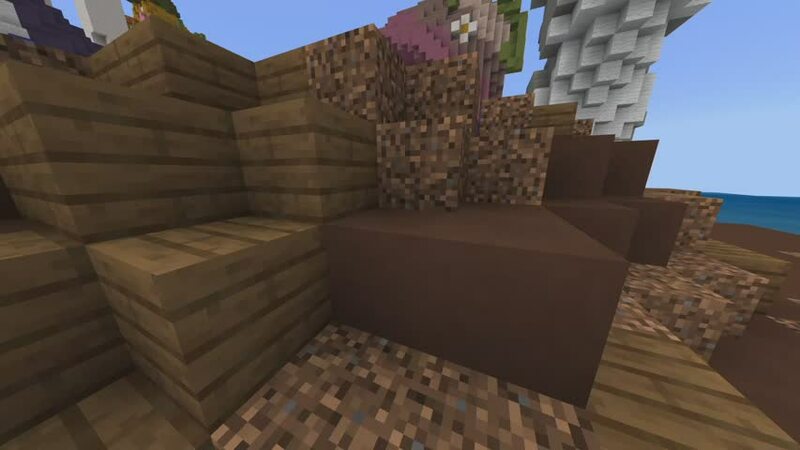 All of the same kits and maps have also been ported over from our 1.9 network. There's a total of 5 maps to choose from, Kingdom, Classic, Savannah, Tropical and Flatlands. As all of the same kits have been ported over, some changes to them needed to happen to balance them all out and make them suitable for 1.8 PvP. The shop has also been amended to fit into the 1.8 combat system. We've just released our new loot bundle. Introducing the Space Bundle! Have you ever wanted to be a space explorer? Grab yourself this exclusive bundle, it's completely out of this world! Packed with 11 incredible loot items, you'll surely be an exclusive astronaut of the lobby. But hurry, this bundle won't be available forever! Once unlocked you keep these items for the lifetime of your account. If you want to get this bundle, you can visit our store HERE! CubeCraft Plus subscribers have access to this bundle and all previous bundles automatically! My sister bought (fake, but they were still expensive, imo) airpods, like, 2 days ago.. She already lost one of 'em. I'll single-handely build you a new lobby.